Central Government has passed Rs. 1250 crore for complete development of inland water transport in Assam. Union Minister of Road Transport, Highway and Shipping, Nitin Gadkari announced regard to this at a meeting of the Brahmaputra Board and Water Resources Department at Kaziranga. 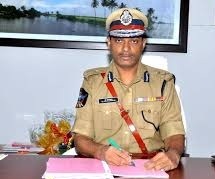 Dr M Malakondaiah was appointed as New Head of Police Force in Andhra Pradesh. Dr M Malakondaiah replaces Nanduri Sambasiva Rao. Rao will retire from service on 30th June 2018. Dr M Malakondaiah is a 1985 batch IPS officer. 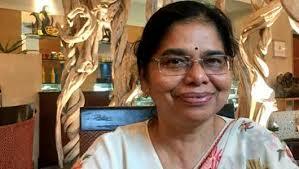 Dr M Malakondaiah is the MD of Andhra Pradesh State Road Transport Corporation. 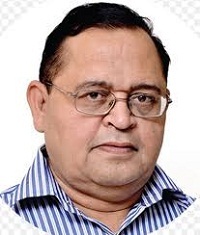 Om Prakash is a 1980 batch IPS officer of Uttar Pradesh cadre. Om Prakesh Singh replaces Sulkhan Singh as DGP of Uttar Pradesh. Sulkhan Singh term ended on 31st December 2017. Gail has placed pipe line order for 400 Km from Dobhi (Bihar) to Durgapur (West Bengal). With this the total pipe supply order for 2100 Km of JHBDPL (Jagdishpur-Haldia & Bokaro- Dharma Natural Gas Pipeline (JHBDPL) project have been placed. Gail is the largest state-owned natural gas processing and distribution company in India. GAIL also has placed 1,700 km of line laying orders. The ambitious 2,655 km long JHBDPL project also known as “Pradhan Mantri Urja Ganga” project originates at Jagdishpur, Uttar Pradesh.The total cost of the project is Rs. 12,940 crore and is completed by 2019. The Indian Space Research Organization (ISRO) has announced to launch 31 satellites on January 10, 2018. These satellites will be launched onboard of PSLV (Polar Satellite Launch Vehicle)-C40 from the space port in Sriharikota, Andhra Pradesh. The mission will be combination of 28 nano satellites from foreign countries, including Finland, US and one micro and nano satellite from India. The mission’s main payload will be India’s Cartosat-2 series earth observation satellite. This will be the third satellite in the Cartosat-2 series. The US embassy and Turkey announced it is enable its normal visa services for Turkish citizens. The US suspended visa services at its missions in Turkey in October 2017. External Affairs Minister Sushma Swaraj held a bilateral meeting with Jordanian counterpart Ayman Al Safadi. External Affairs Minister Sushma Swaraj and her Al Safadi held a bilateral meeting in New Delhi yesterday and discussed across multiple sectors. Mr. Al Safadi discussed steps to set up a robust agenda for deepening and diversifying areas of cooperation in the fields of Defence, trade, investment and security and people-to-people contact. The Delhi government launched a mobile app to connect 16000 member of SMC (School Management Committees) on 28 December 2017. The mobile app launch was conducted by Delhi’s CM Arvind Kejrival and Deputy Chief Minister Manish Sisodia in Delhi. The main aim of app is to make the process more transparent and effective for all stakeholders by all means. The mobile app will also help the school, students and parents to make a better coordination. Defence Minister Nirmala Sitharaman inaugurated a Start-up incubation centre CEOL (Centre for Entrepreneurship Opportunities and Learning) in Mallikatte. The main aim of centre is to promote Startup India Initiative in country. The centre will able to host 70 entrepreneurs where 30 seats have been booked already. Nirmala Sitharaman allocated RS. 1.5 crore from Member of Parliament’s Local Ares Development scheme for development of CEOL. China has successfully tested its first photovoltaic highway road with solar panel. Thus China become second country in the world with this solar panel highway road after the France. A five time World Chess Champion Viswannathan Anand won again the World Rapid Chess Tournament in Saudi Arbia. Fourty eight year old Anand defeated Fedoseev 2-0 in a two game tie break to win Championship. This time the World Rapid Chess Championship tournament was hosted first time by Saudi Arabia. SEBI (Securities and Exchange Board of India) has decided a limit of cross holding in credit rating agencies. Now credit rating agencies will be capped at 10 percent and also recommend raising the minimum net worth recruitment to 25 crore from the current Rs 5 crore. 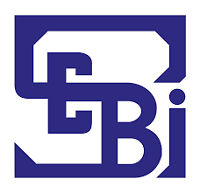 SEBI Also decided that no credit rating agencies should hold more than 10 per cent of shareholding or have no voting rights in other credit rating agencies and would not have any representation in other CRAs boards. India has highest level NPA (non performing assets) among BRICS countries. India ranked 5th position in a list of counties with highest levels of NPAs. Greece, Italy, Portugal and Ireland ranked higher than India. Spain is the only one lower ranked country than India with 5.28 percent NPA ratio. The environment minister has approved a regional project for “Crop Residue Management” under NAFCC (National Adaption Fund for Climate Change). The main aim of project is to aware farmers to adopt alternate method which will help them to enhance income. The first phase of the project was approved for Haryana, Punjab, Rajasthan at cost of RS 100 Crore. The Union Minister of Agriculture and Farmers Welfare Ministry Radha Mohan Singh launched LDF mobile app. This mobile app is useful for consumers and stakeholders engaged in disease control programs. The app will warn in advance about diseases. The app will also inform about a particular disease into high risk, very high risk, low risk, very low risk so stakeholder can plan and use available facilities. Amardeep Singh Bhatia Appointed as Director of Serious Fraud Investigation Office. 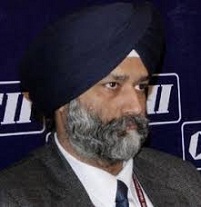 Senior IAS officer Amardeep Singh Bhatia was appointed as new director of SFIO. In Present time he is a joint secretary of Corporate Affairs. SFIO is a fraud investigating agency which was established in January 2003. SFIO is a organization which have various sectors experts for investigate many departments.